Rae W. is a Year 13 student at Dulwich International High School Suzhou. 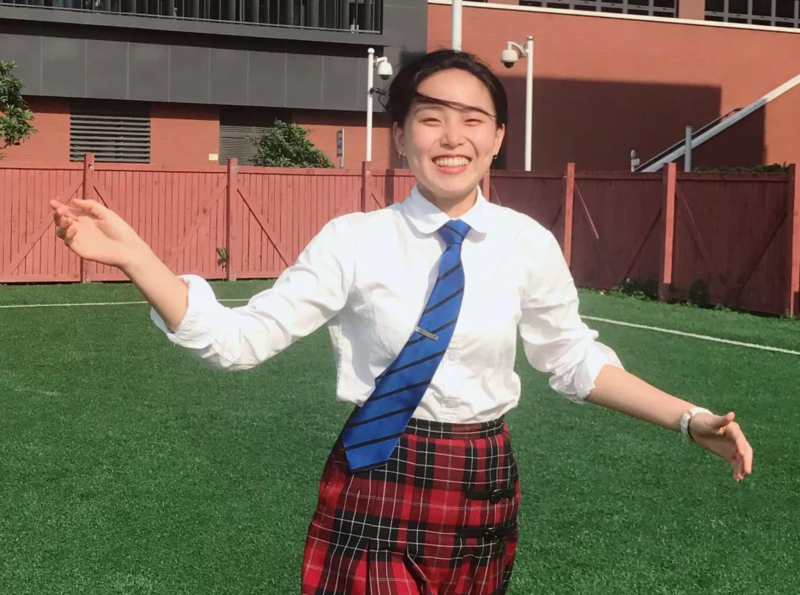 When many students are still anxiously awaiting admission, she is fortunate to have received an ED offer from one of the top universities in the US, Northeastern University. ED is the English abbreviation of Early Decision. It is a way to apply for an US university. As the name implies, the school decides to accept a student early. Unlike ordinary applications, a student can only choose one school for an ED application. If accepted, they can only accept the offer to enter the school and withdraw the applications that have been submitted to other schools. Therefore, a school that a student chooses to apply for ED is often his/her first choice. Rae has now withdrawn applications from more than five universities, including the Pennsylvania State University, the Ohio State University, University of Illinois and Fordham University. We are very happy for Rae and congratulate her on getting into her first choice. She also shared with us her application story and experience studying at Dulwich. Why did you choose Northeastern University? 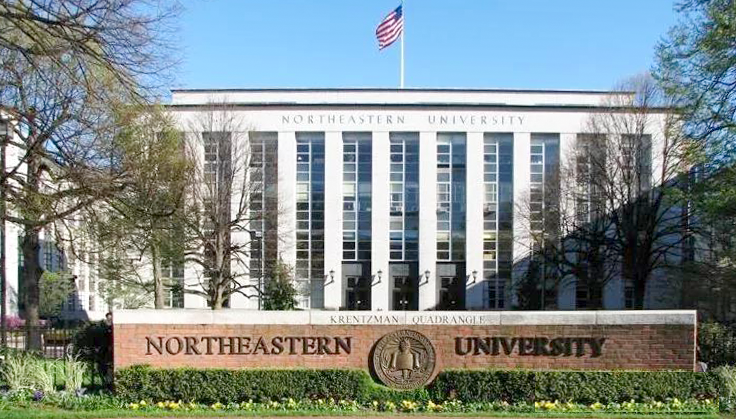 Northeast University is located in Boston, USA. It is a city with a long history and strong academic atmosphere. At the same time, Boston is modern city full of vitality with a superior living environment. Rae hopes to make greater progress in business finance in the future. According to usnews.com, Northeastern University ranks eighth in the United States in International Business. Northeastern features a cooperative education program, more commonly known as "co-op", that integrates classroom study with professional experience and contains over 3,100 partners across all seven continents. A large number of paid internship opportunities can help Rae’s future career. Northeastern University (NU, formerly NEU) is a private research university in Boston, Massachusetts, established in 1898. It is categorized as an R1 institution (Doctoral Universities: Highest Research Activity) by the Carnegie Classification of Institutions of Higher Education. Northeastern features a cooperative education program, more commonly known as "co-op", that integrates classroom study with professional experience and contains over 3,100 partners across all seven continents. The program has been a key part of Northeastern's curriculum of experiential learning for more than a hundred years and is one of the largest co-op/internship programs in the world. While it is not required for students to participate in the co-op program, generally the program is a vital experience for Northeastern students and has helped distinguish the university from other universities in the academic world. Also, Northeastern is currently ranked 1st on the "Best Schools for Internships" list by the Princeton Review and has consistently ranked in the top five for over a decade. In addition to the co-op program, Northeastern has a comprehensive study abroad program that spans more than 170 universities and colleges. Why choose Dulwich International High School Suzhou? Rae joined Dulwich community in the third year of junior high school. There are two main reasons why she chose Dulwich International High School Suzhou amongst many international schools. Firstly, it is an international school managed by the UK staff and supplies a purely western education. Secondly, it has a wide range of courses, which provides students with the maximum choice of courses. How does Dulwich International High School Suzhou helps you to prepare for university? Academically, Dulwich can give a lot of university application and professional advise. Rae's favorite courses are Life Science and Economics. Outside the classroom, she takes the initiative to talk to the teacher, so that she can not only consolidate the knowledge she has learned, but also get more information about the subject. In addition, during the process of Rae's University selection, Mr. Sagide, head of economics department, gave her a lot of professional advice and help. Apart from that, counselling department also offered a lot of guidance for Rae. Rae was a shy and introverted student when she joined the Dulwich, but after being part of our school's ambassadorial community, she honed her communication skills by dealing with different people, learning the art of speaking, and becoming more confident. It will also help her socialize in university. In addition, many activities organized by our school can also lay a solid foundation for students' all-round development. Rae mentioned that she had participated in The Dulwich Climate Conference at our school. At first, she saw wonderful speeches from her peers from different countries and regions. She was very worried about making mistakes on stage. But after many activities, she was fully prepared and confident and spoke fluently in public and showed her best. Dulwich International High School Suzhou will not only prepare students for University academically, but also lay a good foundation for children to live in a foreign country. Rae mentioned that she knew little about Western culture before coming to Dulwich, but the pure Western education gave her a lot of knowledge that she could not learn by reading. For example, cricket and Frisbee in our school's CCA activities are very common in foreign universities, but not very popular in China. This goes a long way to help Dulwich students' integrate into university life. What suggestions do you have for younger students? 1 Academically, collaboration is particularly important. We should make use of extra-curricular time to communicate with teachers, summarize methods and skills, so as to learn efficiently and avoid repeating mistakes. 2 Social interaction is necessary. Not only with classmates, but also to seize the resources of teachers both inside and outside school. It can really bring you more information access channels and get a lot of effective information. For example, when applying for a university, Rae only paid attention to the rankings of the University at the beginning, but in the communication with teachers and students inside and outside the university, she found that the business and financial direction of Northeastern University was at the very top in the United States, so she decided to choose this university. 3 The activities inside and outside the school are also worth participating in. As one of the schools of Dulwich Education Group, our students have more opportunities to communicate with other international school students, participate in many cultural and sports exchanges and share resources with Dulwich's eleven schools in Asia and Dulwich College students in Britain. Finally, we congratulate Rae on the admission of Northeastern University, and we wish all other students every success in getting their ideal offers!